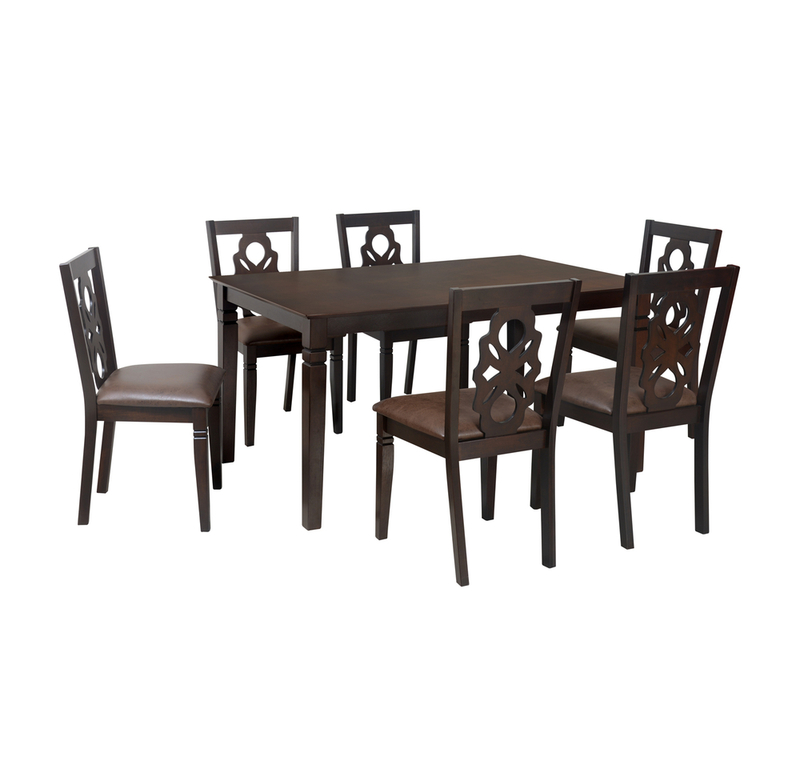 Luther 6seater Dining Set will definitely add elegance to your dining area as the color and designs are very unique and beautiful. This package contains four chairs, one table, and one very comfortable bench. There are many different options available in dimensions of table, chair, and bench that customer can buy any of them of their choice. Rubber Wood and MDF with Veneer are used for the table top. The frame of chair and bench is made up of Rubber Wood and MDF with Veneer also. For better finishing of the dining set, melamine is used with proper technique. Rubber wood is used for table legs. The upholstery which is used in this tremendous dining set in made with polyester.Many unforgettable and beautiful moments can be experienced on this wonderful Luther 6 strBench Dining Set with @home. Solid Wood Dining Set that cna be match wth any Décor.Chair & Bench with cushion that provides maximum comfort.